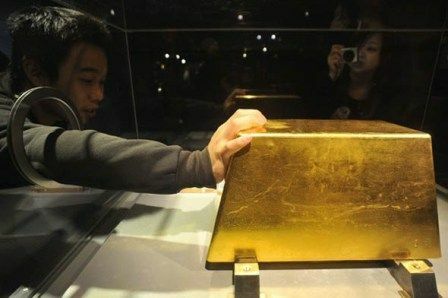 What is the Biggest Gold Bar in the World Worth? You won't believe how much this gold bar is worth! This is an Expert Level Challenge. 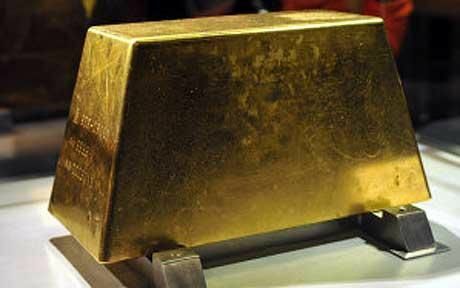 Ever wonder what the biggest bar of gold looks like? 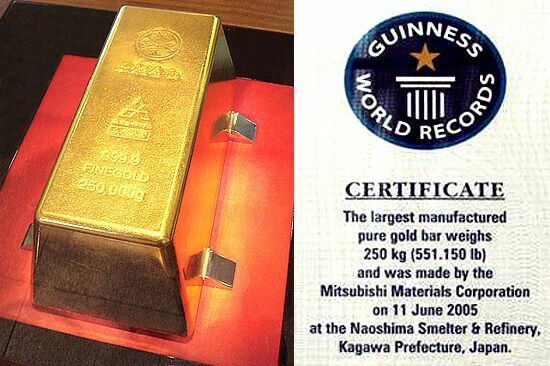 Back in 2005, Mitsubishi Materials Corporation of Japan poured the largest gold bar ever. Just how big is it? Huge, really really huge. The actual dimensions of this monstrosity come in at 17.9 inches by 8.9 inches by 6.7 inches, which means it only fits in the average NBA player’s shoe-box! Although, we'd suggest you put it in something more secure than that! You can't even carry this "shoe-box" with you as it weighs 551.15 pounds! Gold is measured in “troy ounces.” One pound is worth 14.5833 troy ounces. What's the difference between a troy ounce and an ounce? Answer: One regular ounce is 28.35 grams, while a troy ounce is 31.1 grams. 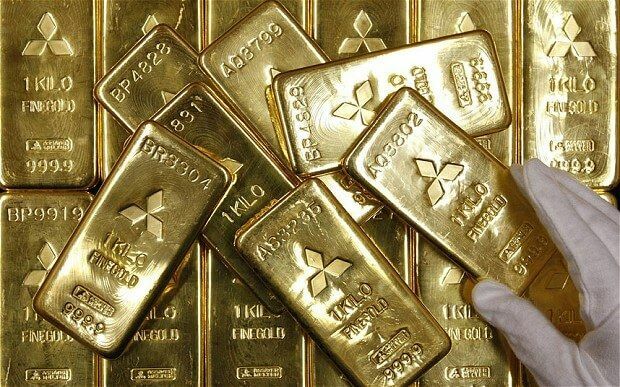 If the gold bar weighs 551 pounds, that means it is 8,037.585 troy ounces. As of October 19, 2015, 1 troy ounce of gold = $1,176.75 US Dollars. That means the gold bar is now worth over $9 MILLION or $9,458,228.14 to be exact! Can you imagine having $9 MILLION in gold? This colossal $9 Million specimen is on display at the Toi Mine Museum located at Izu, a city in the Shizuoka prefecture of Japan. Wow. That is a lot of money. What did you guess? Share your thoughts with us in the comments! Ivana covers personal finance and culture for FinanceBuzz. She is a visual storyteller and lifestyle photographer.